If you happen to be driving on US 7 in Vermont passing through the town of Shelburne, be prepared to see something unusual. No, you're not dreaming, lying just off the highway is a lighthouse! 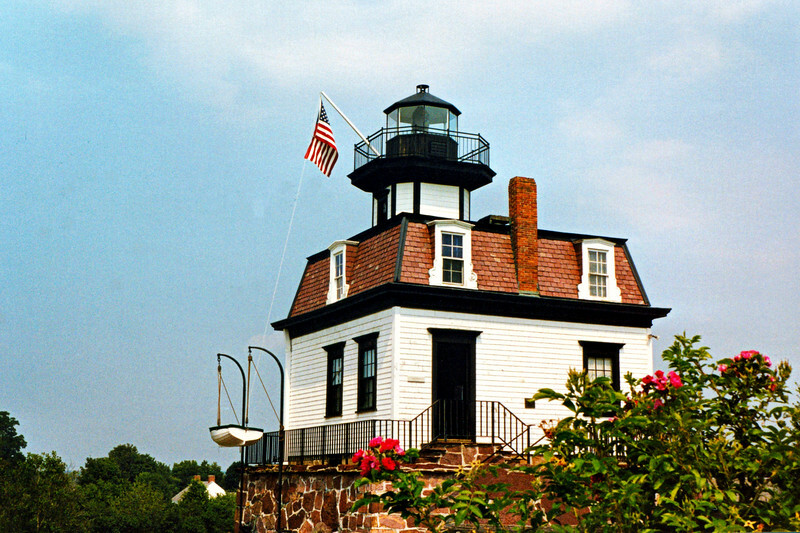 Located on the grounds of the Shelburne Museum, which has over 39 exhibition buildings featuring Americana, the Colchester Reef Lighthouse is one of the museums main attractions. As the lumber trade increased on Lake Champlain during the 1800's, the Lighthouse Establishment decided to mark a reef on the northern approach to Burlington harbor. In 1869 they decided to hold a national competition for the best design to use for the lighthouse. The design picked was submitted by a Burlington native, Albert R. Dow, who was an engineering graduate from the University of Vermont.